Yeah. Kind of stung, but very appropos. 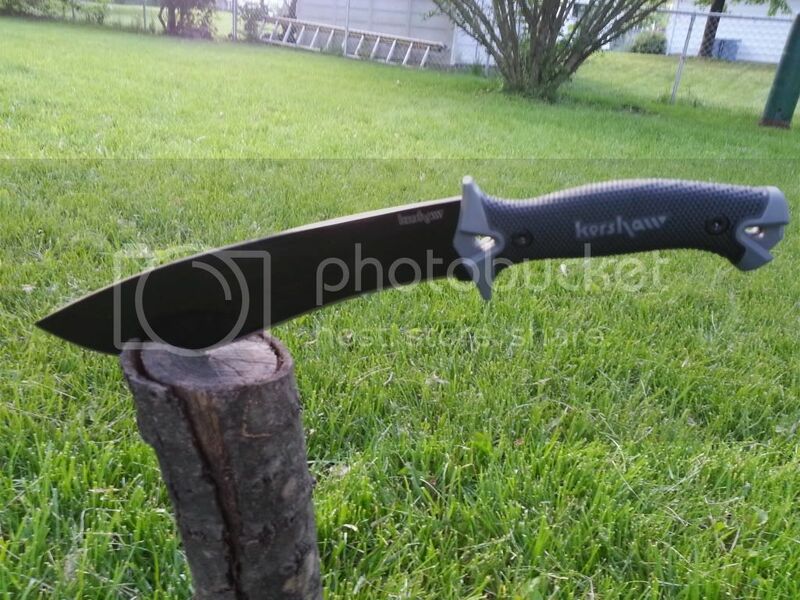 Ever think about a Kukri? the "Magnum" version from CS seems more fitted to your purpose look up specs if your not impressed. Ah yes, invented by the guy who just shot part of his thumb off. Crovel still rules plus they added a spike to it. The Glock fixed blade knives are extremely well-made and durable. Plus, they go for around $30-40 and....it's a Glock. Kershaw Camp10. I just let it fall on this log with its own weight and it buried the blade deep enough to stand on its own. 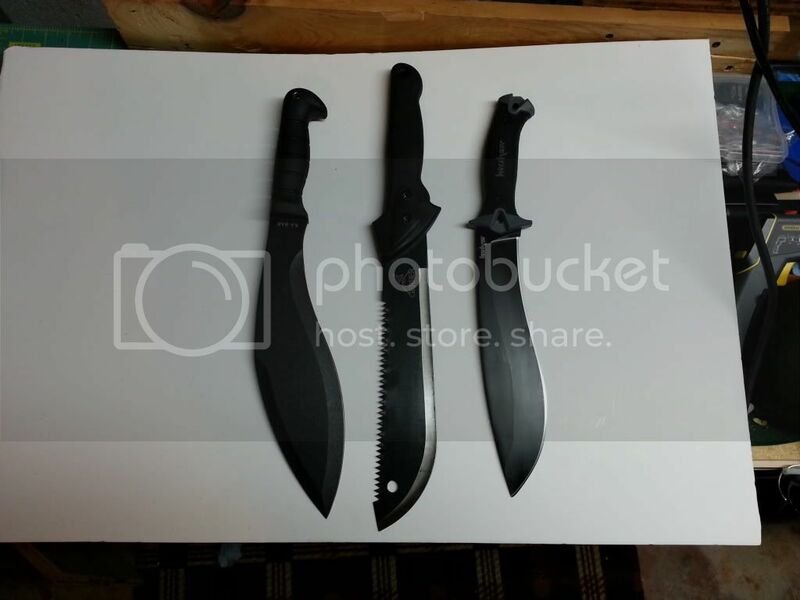 That Ka-Bar looks pretty wicked. Vortec MAX wrote: That Ka-Bar looks pretty wicked. It is nice. Only a 10" blade though. Makes it good for backpacking, but might be a bit short for zombie slaying. Luckly, Kershaw is coming out with longer versions sometime this year. That is the Camp10, Camp14, and Camp18. Const Advocate wrote: The Glock fixed blade knives are extremely well-made and durable. Plus, they go for around $30-40 and....it's a Glock. But it always goes stab when you need it to go stab.